Vinification & Aging: The grapes were harvested manually. After the alcoholic fermentation, 45% of the must remained in stainless steel and the rest was transferred to barrique for the malolactic fermentation. It remained in barrique for 9 months and then after it was assembled, it remained in the bottle for 9 months before its release. 5.1% acidity. 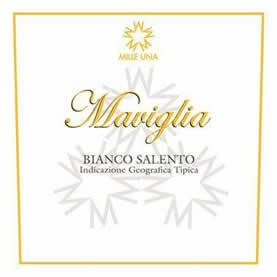 Description: Rich, powerful white wine with vanilla sensations. Food Pairing: Pasta of all kinds, ragout sauces, poultry.